Health information management is becoming the language of health care as the industry becomes more reliant on technology and electronic data. Being an expert in managing patient health information and medical records, administering computer information systems, collecting and analyzing patient data, and using classification systems and medical terminology. Possessing comprehensive knowledge of medical, administrative, ethical and legal requirements and standards related to healthcare delivery and the privacy of protected patient information. Managing people and operational units, participating in administrative committees, and preparing budgets. Interacting with all levels of an organization - clinical, financial, administrative, and information systems - that employ patient data in decision-making and everyday operations. Participate in interprofessional education that reflects today’s team approach to health care delivery and professional practice. Utilize the latest health information technology capabilities while focusing on the role of Health information Management as a discipline whose purpose is to provide better care for patients while reducing health care costs. Highly educated and experienced faculty whose focus is always students. Hands-on learning experiences that equip you for real world careers. 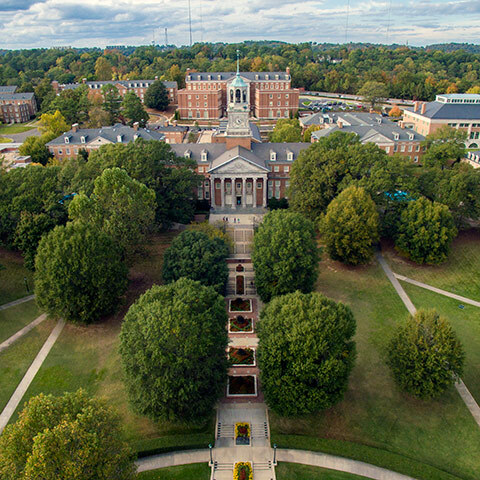 Prospective students must apply for admission to Samford University. We cannot issue an I-20 for this program at this time. Prepares graduates for the rigors of the RHIA exam. Trains students in problem solving and critical thinking skills needed by a health information administrator to effectively analyze health data and information of all types. Prepares HIM professionals who are increasingly involved wherever healthcare data is being collected, stored, or retrieved. Prepares graduates to hold diverse roles within their organizations and physician practices, such as electronic health systems managers, data analysts, data managers, informatics professionals, and revenue cycle analysts. 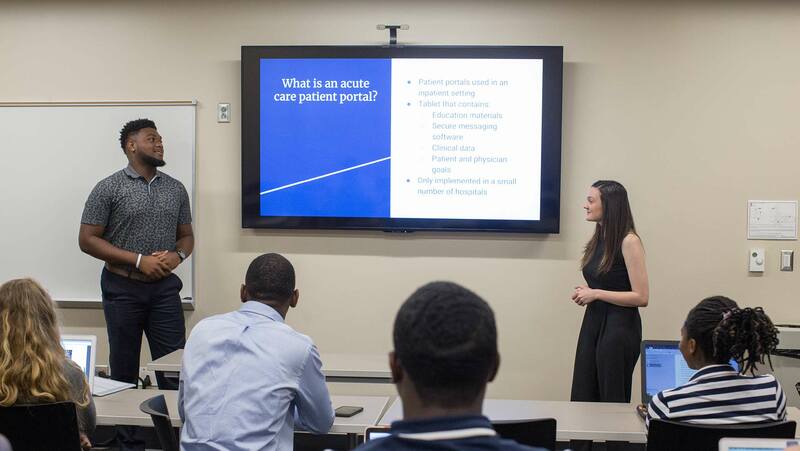 Trains students to utilize health information technology for decision support, knowledge management, strategic planning and outcomes assessment. Trains students to know all applicable legal, social, regulatory and ethical factors involved in health information management. The program is designed to meet or exceed the accreditation standards of the Commission on Accreditation for Health Informatics and Information Management Education (CAHIIM). To prepare you for a career that offers diverse opportunities for those who would like to work in health care, but not in direct patient care. After graduation you will have the skills required to work closely with other professionals such as physicians, nurses, lawyers, administrators and executives. You will be at the center of the information flow that is vital to modern healthcare.